After I created my trio of cards for the Pootler’s team Spring/Summer blog hop I had this background piece made from the Crackle Paint stamp set in Gorgeous Grape so I decided to create another butterfly card. I added a layer of vellum to the front of my Gorgeous Grape layer as it was a little over powering in such a bright colour and my butterflies were lost. I used the Stitched scallop boarder die from the be Mine Stitched Framelits to create a banner across the card for my sentiment. The three punched butterflies created from the two-step stamps in Butterfly Gala finish the card off and add even more dimension with their wings. 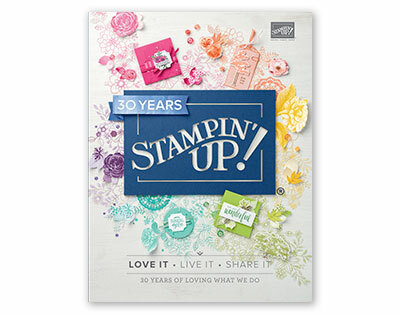 If you’ve followed my blog for a while it will be no surprise to you that the first image I wanted to stamp with out of the new Blended seasons stamp set was that gorgeous large floral image. Anyone know what flower it is because I don’t recognise it? I chose a classic colour combination of Rich Razzleberry and Old Olive as I wanted to use the Stampin’ Blends and I haven’t order the new colours yet (they’re on their way). Adding a layer of Light Pool Party all around the stamped image really helps it to pop off the page. I added a few pearls to the centres of the flowers to add some subtle extra detail. I decorated the inside of the card with an extra coloured flower but kept it sentiment free so I can write my own message. 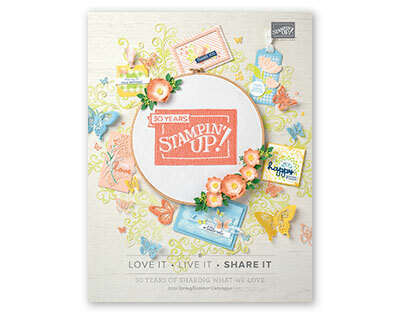 Hope you’ve enjoyed this first look at the Blended Seasons stamp set, pop back soon for more ideas with this set.